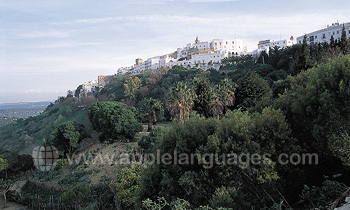 Vejer is a beautiful, perfectly preserved, Spanish hill town, in Andalusia, southern Spain, the birth-place of Flamenco dancing. 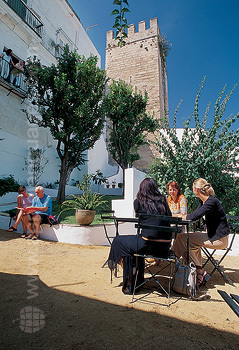 Our school is located in the heart of historic Vejer. 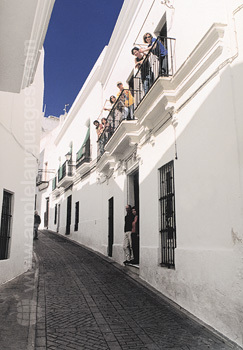 The school is in an historic building, with beautiful patios and orange trees, attached to the eleventh century walls of Vejer and enjoying magnificent views over the surrounding countryside – a wonderful location in which to learn Flamenco. 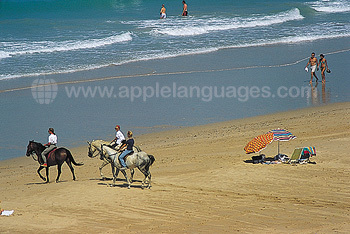 Unspoilt sandy beaches are just a short bus-ride from the school. The school has 8 classrooms, an Internet café and library. 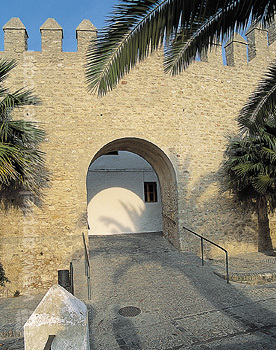 There is also a large dance studio, dedicated to the Flamenco dance classes. 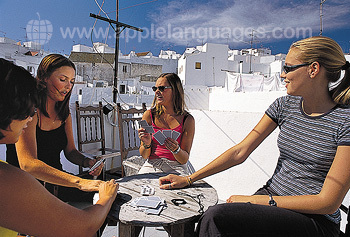 The Spanish lessons are held on a Monday - Friday basis (2 lessons per day, normally 09:00 0 10:40). 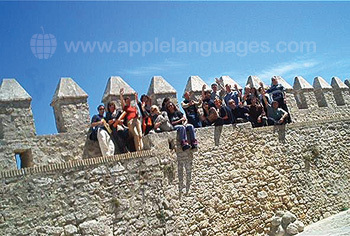 All Spanish teaching is by fully qualified and experienced native Spanish speakers. Lessons are 50 minutes in length. 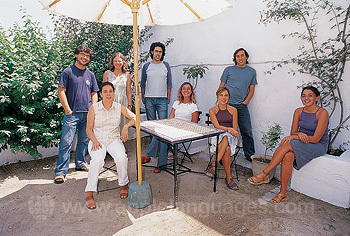 Each Flamenco lesson is taught by professional dance tutors in the school’s own dedicated dance studio. The lessons are held every day on a Monday - Friday basis, normally from 11am - 1pm (2 lessons per day). 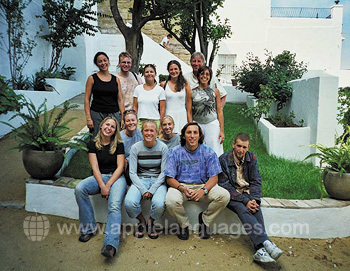 The Spanish language course and the Flamenco lessons are available at all levels, including complete beginners.